Like many housing nonprofits, Sacramento-based Mutual Housing California (MHC) always wanted to manage its own multifamily portfolio. When MHC first contacted VIVA in 2005, its 600-unit portfolio was too small to generate sufficient fees to support a financially-viable property management line of business. However, MHC had explored the possibility of assuming an ownership role with its current third-party management company, and VIVA created a business plan to do just that. While the plan was never implemented, the goal of self-management remained as MHC expanded. In 2012, MHC—now 1,000 units strong—contacted VIVA again. 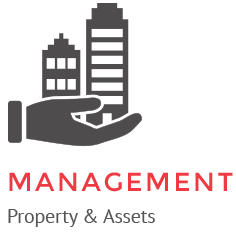 VIVA worked with staff and Board to evaluate the feasibility of launching a property management division. Once the Board gave the go ahead, VIVA created a five-year business plan for staffing, systems and processes to ensure the best foundation for realizing a long-held goal. Self- management took effect in December 2013, a bit ahead of schedule, and MHC reports a strong start to managing its own housing.